Fire Ants in Atlanta Lawns can be a real problems. The red imported fire ants build mounds in the open areas of your Atlanta turf, often times near a stump or concrete. They can also form a mound in or under a building. The red imported fire ant communities are made up of diverse “groups”. Each group has a distinct role for the survival of the colony. Worker ants feed and protect the queen ant. They are also responsible for the developing brood, cream colored eggs and grubs. The working Fire Ants in Atlanta Lawns have a life cycle of about five weeks. The winged ants are solely used for the reproduction of the colony. They live in the mound they have created on your Atlanta turf until they are ready for their mating flight. The mating flight happens during spring and fall after an evening shower. All male red fire ants die after they mate while the fertilized queens dig a new chamber to start a new colony. A mated queen can lay up to eight hundred eggs in your Atlanta lawn. A queen and half a dozen working ants can have a new colony assembled practically overnight several hundred feet away from the original colony. Red imported Fire Ants in Atlanta Lawns can be extremely aggressive and will readily swarm from the mound when it is disturbed. These tiny little red ants can cause allergic reactions to and animals; in some cases they can even cause death. Cultural and chemical control is the best way to control red imported fire ants on your Atlanta lawn. Frequently mowing the turf forces the ants to move to areas away from the lawn that are less likely to be disturbed. The more the area is mowed the less time the ants have to form a colony. Chemical control to rid Fire Ants in Atlanta Lawns are by treating the individual mound with granules, dust, liquid drenches, and baits. 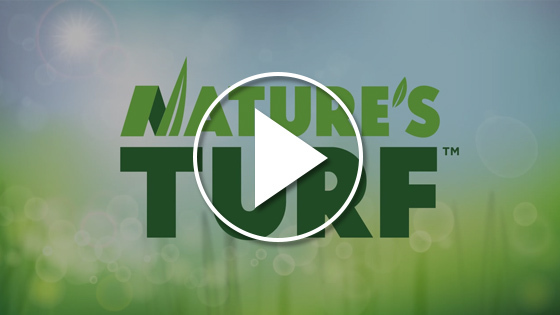 Nature’s Turf, Inc. offers fire ant control applications along with our Atlanta Lawn Care Program.